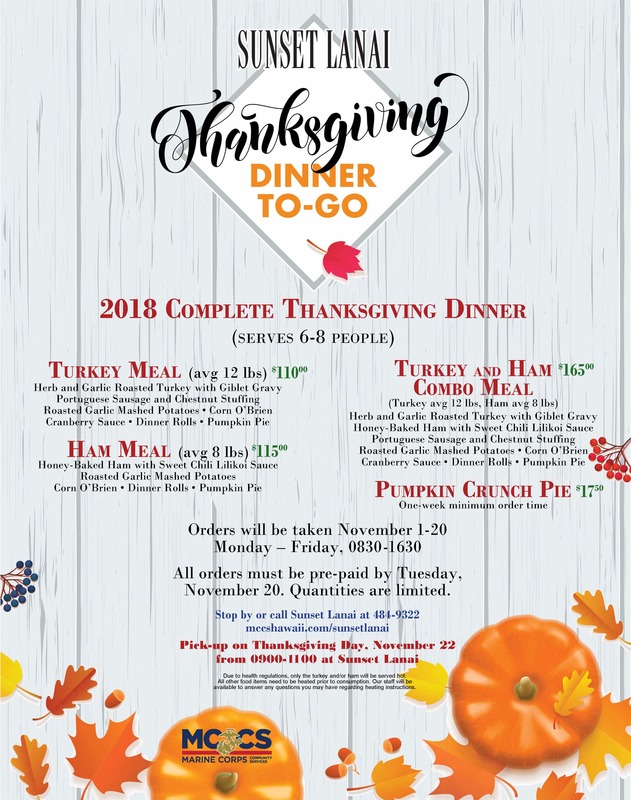 Spend quality time with friends and family and let us do the cooking this Thanksgiving! 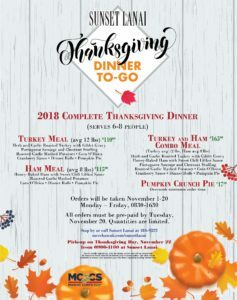 Pre-order a complete holiday meal with all the fixings and dessert and pick it up at Sunset Lanai on Thanksgiving Day between 0900-1100. Orders will be taken November 1-20. Place your order while quantities last!